As-Salaam Alaikum dear little kiddies. This is interesting. Read carefully. ~ An average working hen lays 260 eggs a year. 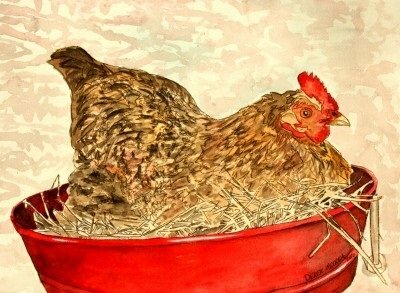 ~ It takes a hen 24 to 26 hours to lay an egg. ~ A hen starts to lay eggs at 17 or 18 weeks old. ~ A hen can live up to 20 years, laying eggs all her life though the number of eggs she lays decreases every year. ~ Chickens aren’t completely flightless; they can get airborne enough to make it over a fence or into a tree. ~ There are 25 billion chickens in the world, more than any other bird. From “Bryen’s Daly Newsletter” (via snail mail). 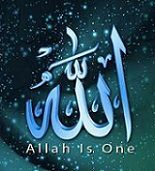 SubhanAllah, with what great perfection Allah Almighty creates every living being and everything in the earth and the entire universe. Reflecting on all the creations of Allah can be a full time job round the clock throughout our lives and yet we will never be able to arrive at the end of it. Does it take a hen 24 hours to conceive an egg or to lay it? You're welcome dear sis Yeah, it takes a hen about one day to conceive or produce an egg and that's when she lays the egg. Once an egg has been laid, it takes approximately 3 weeks to hatch. Many thanks for the info me sis. Laying 260 eggs a year and then spending three weeks to hatch each or each batch of those eggs! Hardworking mama hen!! Subhan'Allah, it sure is very interesting. That 5th point you mentioned reminds me of an incident in my childhood ... "chickens aren't completely flightless, airborne to make it over a fence or into a tree." Some mother hens nursing and protecting their little ones can be quite aggressive. When we were kids, a neighbor of ours had a poultry farm (of sorts) in their yard. My brother and me would often go to their yard (with their permission of course) and watch the chickens. One of them had recently hatched her eggs and was taking care of her chicks; she was strolling near the hen-house and the little ones were following her wherever she went. They looked so cute that my brother stepped closer to take a look and I also walked behind him. Suddenly the mom hen looked at us, began clucking which got louder in a few seconds and then she ran towards us .. like charged at us .... and both of us sprinted in the opposite direction. When we took off, she flew behind us ..like three or four feet high for a few seconds, then turned back and ran towards her chicks. LOL we were really scared. Subhan'Allah, lovely sweeto sweet post! Lots to learn for kiddies. I mean, we take chickens so much for granted .... a common farm fowl providing our breakfast eggs, also cooked and spiced for supper so often. So we forget or usually never even know the basic details. Thanks Sis! Is there any online subscription for this newsletter? Some mother hens nursing and protecting their little ones can be quite aggressive. When we were kids, a neighbor of ours had a poultry farm (of sorts) in their yard. My brother and me would often go to their yard (with their permission of course) and watch the chickens. One of them had recently hatched her eggs and was taking care of her chicks; she was strolling near the hen-house and the little ones were following her wherever she went. They looked so cute that my brother stepped closer to take a look and I also walked behind him. Suddenly the mom hen looked at us, began clucking which got louder in a few seconds and then she ran towards us .. like charged at us .... and both of us sprinted in the opposite direction. When we took off, she flew behind us ..like three or four feet high for a few seconds, then turned back and ran towards her chicks. LOL we were really scared. Here's a video of what looks like a duck attacking an unsuspecting kid. LOL. Brother TS ..... funny as well as scary the two of you must have really got into a tizzy! Such attacks by mom hens aren't common but not too unusual and certainly not impossible. You're right Sis Heba, it's more common with ducks, geese & swans. Interesting video but I don't envy that poor kid. Swans are the meanest, especially the species, mute swans. They often have their nesting areas in rivers, ponds or streams. If anyone approaches they may hiss or flap their wings, more a show of bluster than any real danger. But if you're unfortunate, they may attack. When I was a kid, I was chased by a duck .. similar experience as br. TS and his brother. We had a pair of ducks and a lamb. I was in the yard giving the lamb some greens to feed on. Suddenly I heard, what sounded like, something fluttering against the grass behind me. I turned around and saw this angry "lady" duck charging at me from nowhere and for no apparent reason with her neck bent down. I screamed and ran inside the house and a few seconds later she turned back to her duckhouse. And no Sis Heba, it's not online newsletter. I don't think you can get it online. Got it thru snail mail sent by a real estate broker active in our neighborhood. Swans are the meanest, especially the species, mute swans. They often have their nesting areas in rivers, ponds or streams. If anyone approaches they may hiss or flap their wings, more a show of bluster than any real danger. But if you're unfortunate, they may attack. Exactly, that's what I've learned too. dang! must have been one cranky "duckess"
O I see, do keep posting if you receive other useful info as this, InshAllah. The "duckess" story the same kinda bullying that we received .... but this poor guy in Sis Heba's video seems to have been bullied still worse. InshAllah, yes Sis ... if I find something suitable and interesting ...... though this newsletter doesn't arrive regularly.